Discover a beautifully balanced style with this sweater by Beige Label. Striking with an oversized ribbon knit finish, this flattering sweater is just the thing for a stylish tonal ensemble. 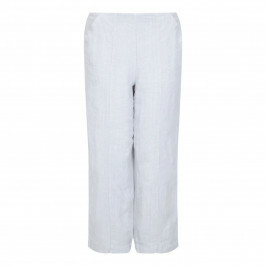 Wear with a white vest underneath and a pair of light grey linen trousers and finish with a pair of grey trainers. Grey over-sized ribbon knit sweater. 70% Cotton, 25% Polyamide, 5% Polyester. Hand Wash Only. Model’s height is 178cm (5ft 10in) and she wears a UK size . For more information, please call customer services on +44 (0) 20 8455 0005, or one of our stores.